Boilsoft Video Splitter is a powerful software tool that can be used to cut, trim or split the large video files in various formats including MPEG, AVI, ASF, RM, 3GP, WMV, FLV MKV, and even MP4 Video files into smaller video clippings without encoding them again. It is a built-in software tool for video players to allow their users to cut or split the video files as per your requirement. It can cut or split large video files in all popular formats into many parts through selection of time or size. Though Boilsoft Video Splitter is powerful software to split a large video into several parts still it has some limitations and drawbacks, thus some alternatives to Boilsoft Video Splitter are briefly discussed here under for your consideration. Joyoshare Media Cutter (or for Mac) is one of the best Boilsoft Video Splitter alternatives which can be used for Windows as well as Mac operating systems. People who want to cut trim or split audio and video files into smaller clips without sacrificing their quality. These small clips can be uploaded on various online platforms including FaceBook, Vimeo or YouTube etc. It can cut or split video files of almost all formats even by using almost all smart mobile devices. It is very easy to use due to its sensitive interface. You can use it to cut large video files into smaller files, extract audio files from video files and remove useless parts from the video files etc. at a very fast speed say within few minutes. Freemake Video Converter is one of the best Boilsoft Video Splitter alternatives. It allows you to split and convert online videos of all formats including WMV, AVI, 3GP, MP4, Extract MP3, Burn DVD, Bluray and Rip DVD to create audio visuals and slideshows by cutting, rotate and joining them to upload their smaller files online on platforms like YouTube etc. SolveigMM Video Splitter is an alternative to Boilsoft Video Splitter which can help fans of video editing by splitting a large video file into several parts. It enables them to remove superfluous parts without any loss to the quality of its audio and video. It also allows you to join more than two video files to make one file. You can load selected files to merge them in a defined order without re-encoding them. Many types of media files, audio and video, including MPEG, MP4, MKV, AVCHD, AVC, WMV, AV, ASF, WMA, MP3 and WEBM etc. can be tackled with this video splitting software. Gihosoft Free Video Cutter is one of the best alternatives to Boilsoft Video Splitter as it can help in cutting long and large video files into shorter files without damaging their quality. It supports videos made in various types of formats including AVI, MP4, MPG, MPEG, WMV, VOB, MOV and 3GP etc. so that you can split the videos as per your requirement. It provides a quick user guide to help you in using this software to cut videos as required. 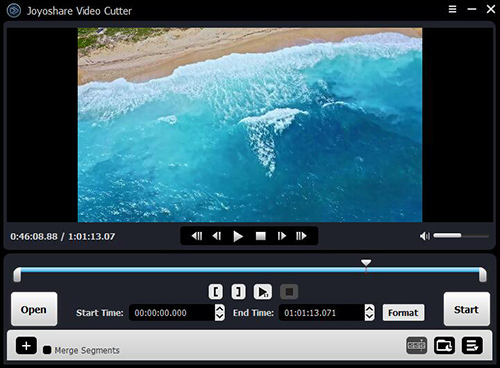 Free Video Cutter is another Boilsoft Video Splitter alternative which allows you to split your video files free of cost. You can use this program to cut or split all types of videos including HD videos into smaller clips as per your needs, without affecting their quality. It can be used to split video files in various formats including WMV, AVI, MPEG, MOV, DivX, MPEG4, FLASH AND Xvid etc. Being compatible with Windows operating system it can keep your videos safe and clean without affecting with any adware or spyware. This easy to use video cutting software can be used by everyone even without any professional knowledge. Xilisoft Video Cutter is an easy alternative to Boilsoft Video Splitter. It can be used by everyone to edit videos and create unique videos to share with his friends and family. It supports video files in various formats including WMV, AVI, MOV, MP4, MKV, FLV, MPEG 4, MPEG, Xvid, DivX, RMVB, 3GP, MPEG 2, AVC and HD videos etc. You can cut videos at fast speed within few minutes due to its user friendly interface. Bandicut Video Cutter is one of the Boilsoft Video Splitter alternatives that cut the videos faster and are easy to use by everyone. 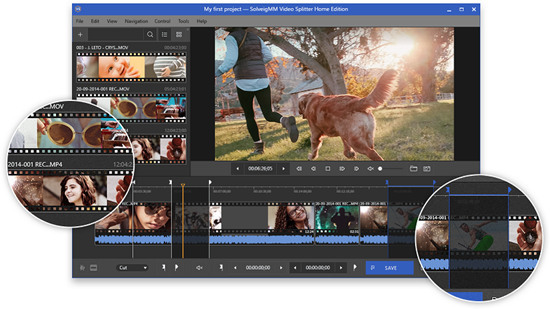 You can use it not only for splitting video files of various formats but also for merging video clips cut by you to make a different video file, remove unwanted parts for the videos and convert audio from video into Mp3 file. It cuts video files in two ways- in encoding mode and in high speed mode. 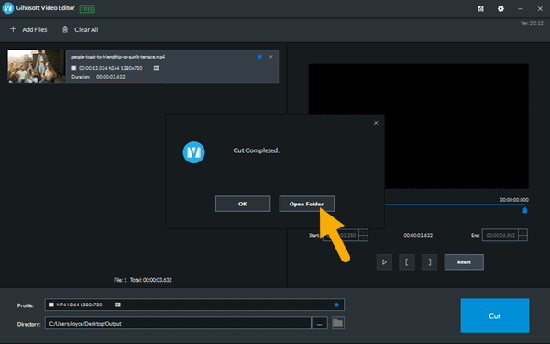 The former allows you to change the codes, resolution and quality of your video file whereas later one allows you to split the video at fast speed without losing anything. After reviewing various alternatives to Boilsoft Video Splitter we can come to a conclusion that today splitting large video files into smaller clips is not an issue as various software options are available for this purpose. Anyone can use any of these video splitting software options to create some more practical and useful videos. You can use any of the alternatives discussed in this write-up as per your requirements and Joyoshare Media Cutter is highly recommended here becuase it can split videos with zero quality loss.